Here is the last of the great metal albums which came out in 1982 but it didn’t come to my attention until the early months of 1983 due to my being posted in Japan at the time. 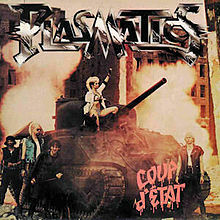 Like Billy Squier’s “Emotions in Motion” album, “Coup d’Etat” by the Plasmatics was an album that I have neglected for quite a long time. 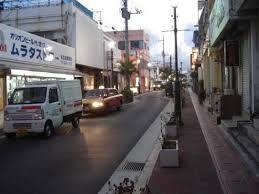 Saying that, I still have fond memories of seeing the video for the single, “The Damned” from this album on the video screens of Sgt Peppers on Okinawa. At this time, music video was still something I was only becoming familiar with, so seeing Wendy O Williams in that outfit while singing away while standing on the school bus as it crashed through walls of television sets was something else. Probably why “The Damned” is my favourite Plasmatics song of all time. It also helps that it’s a great song to begin with. Another thing which not only I but probably many others had is the lack of appreciation for the talents of the rest of the band. Yes, Wendy was the main feature of the Plasmatics, both for her looks and her very unique vocals and I have already sung the praises of lead guitarist Ritchie Stotts when I reviewed the “Metal Priestess” album. He’s even better on this album by the way. I submit “Paths of Glory” into evidence. However, nothing should be taken away from the rhythm section of Beech, Romanelli and Tolliver. These guys are definitely tighter on this album and the results prove itself in the music. What this album has done is to look at the entire band in a whole new way and give them the respect they are long overdue. I’ve just had a thought, I wonder if the opening track on this album was a response to a song on AC/DC’s “Back in Black” album. Interesting thought, though. What I do know is that this album helped start my 1983 in style and while I may have neglected it for a long time, (fool, me), it gave me a video that has stuck well in my mind for over thirty years.